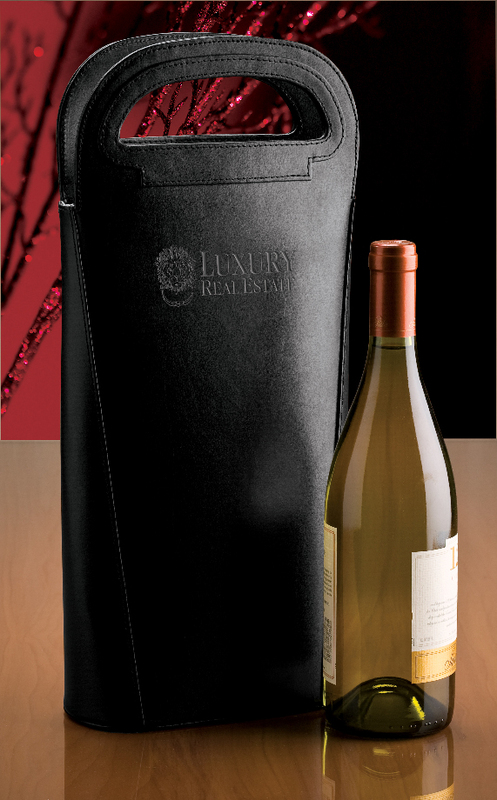 The usable insulated cooler wine tote made of 600 denier polyester with PVC backing and fully insulated & leakproof. 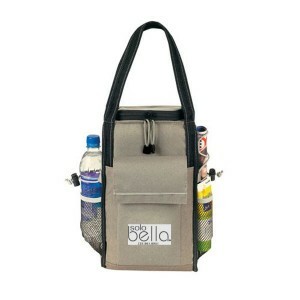 This cooler bag is perfect for keeping things fresh and cold. “U” shaped zipper top opening. 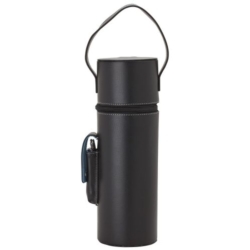 Inner lining sleeve with adjustable and lockable string cord. Large front velcro pocket and one back opened pocket. 2 opened side elastic mesh pockets and two side adjustable and lockable string cords. Polyweb shoulder length carrying handle. 8.5″ x 14″ x 5.5″. Min is 60 bags 8.50 ea, 120 8.25 ea, 360 8.00 ea, 720 7.80 ea, , item number CW-6655. Imprint 3″ x 5″ on the pocket. 45.00 set up. 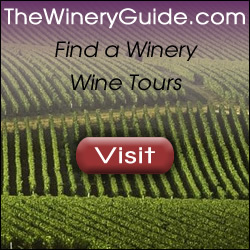 Looking for an impressive wine related gift? 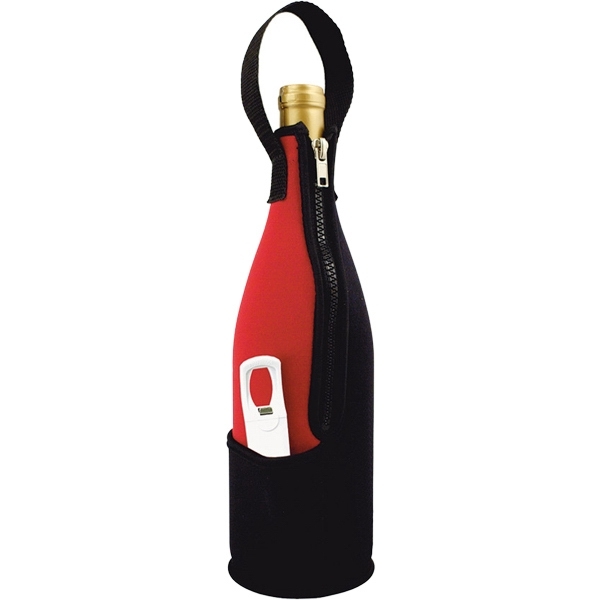 Single wine carrier with a stainless steel corkscrew in the side pocket of this wonderful wine carrier, the only thing you’ll need is a glass or two! This carrier comes with a stylish black leather finish with white stitching, beautiful blue interior, and a conveniently placed handle. Can be imprinted with your logo or slogan. #EH3509. 5″ W x 16 3/4″ H x 5″ D and imprint area is 2″ x 1.5.” Min is 25 pieces and starts at 25 for 27.95 ea, 50 at 26.95, 100 at 25.95 and 250 24.95 ea. Each carrier comes in a gift box. 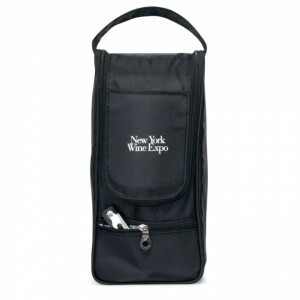 Do you want to give a wine related gift to thank customers or clients? Napa wine display is a new item but supply is limited. Leatherette with contrasting white stitching looks amazing in any home. 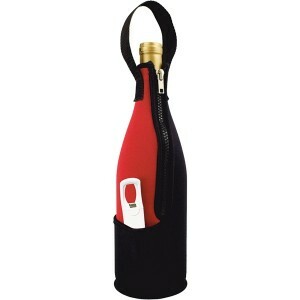 Secure triangle design with real metal hinges ensures your best bottles will be ready when you are. Black rack only. Easy to ship and store with the fold flat capability (only 1 1/4″ high when folded). 14″ X 9″ X 9 3/4″. Laser engraved on metal piece that is attached to upper left edge. Limited quantity so don’t wait to order. 9.15 ea, min 100. Set up is 39.99. Want to give something that introduces the art of wine? Wine Spectator’s Pocket Guide to Wine is an introduction to tasting, appreciating, storing, buying, and serving wine, featuring 50 color photos and illustrations and a Glossary of oenological terms. Paperback, 8 x 3.5,” 68 pp. Why customize with your company logo? Customized books deepen relationships; creating unique intelligent and personal connections. Imprinted on cover 7.00 for 50-99 books, 6.70 ea or 100-249, 6.50 ea for 250-499 and 6.45 ea for 500 or more. 40.00 set up. Imprint area is at the bottom of thr front cover. Standard imprint method is 1-color pad printing with ink. Allow 15 business days for production. Order yours by Nov. 15, 2010 for holiday giving. Are you wanting to give something that wows your recipients this holiday season? 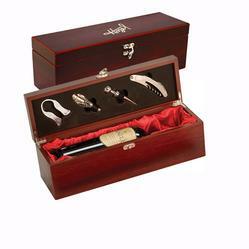 A beautiful box with 4 piece wine set is sure to make an impression from the time you give it. Space for one wine bottle, (wine not included). 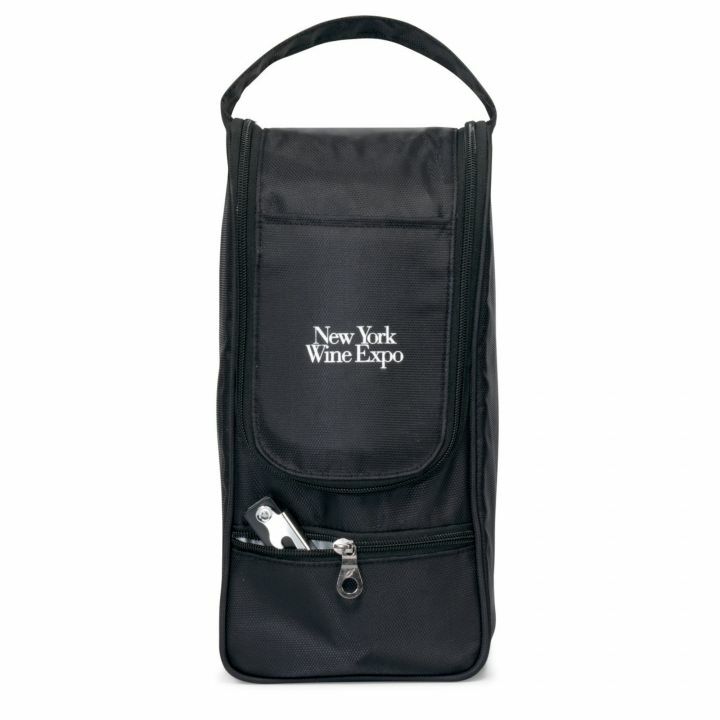 Imagine your gift being used at the next wine tasting or special event. Your name or logo can be laser engraved and color filled in silver up to 4 sq inches on the top of the box. 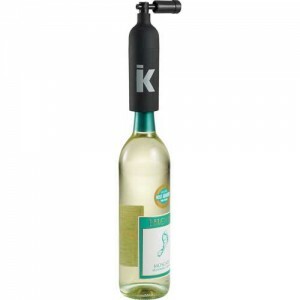 Includes a silk liner and cover board, corkscrew, wine stopper, wine pourer and foil grip. Minimum imprinted is 6 pieces, 30.44 ea, 27.43 ea for 12-24, 25.16 ea for 25-49, 23.52 ea for 50-99 and 22.40 for 100 or more sets. Set up 55.00. Unimprinted price is 27.43 min 6 pieces. Wooden box dimension is 3- 1/2″h x 13- 1/4″ w x 3- 1/2″ d (inside dimensions). Order yours today for beautiful gifting. Want to make an impression this holiday season? Beautiful black leather wine tote with shiny insulated and padded interior will hold two bottles of wine. 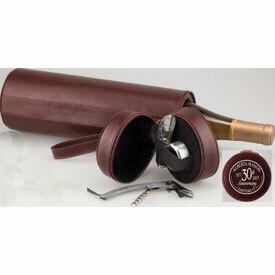 Folding separator inside keeps the wine bottles safe and ready to transport or gift. Outside can be imprinted in one color or debossed. Packaged individually in gift boxes. Minimum is 25 pieces imprinted or debossed and prices start at 27.95 ea at 25, 26.95 at 50, 25.95 at 100 and 24.95 at 250, with a set up of 56.25. Order early as these are expected to be very popular this giving season. Item # EH3515.